At sprinkles & buttercreams we love to make wedding cakes and wedding treats to wow and we think your wedding cake should be every bit as unforgettable as the wedding day itself. 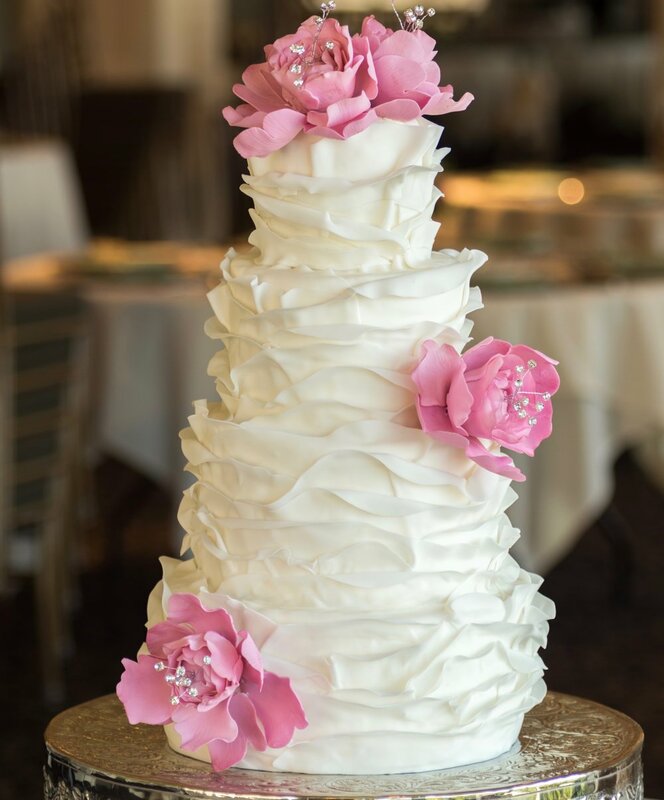 Your dream cake should be elegant, unique and absolutely delicious! We design buttercream cakes and love nothing more than a challenge to bring your creative dreams to life in cake form. If you are interested in meeting me for a non-obligation chat about your wedding cake, get in touch and I’ll arrange for us to meet at a local café so we can enjoy tea or coffee while we discuss your ideas and plans. I am happy to also answer any questions about my services and the overall process. If you are satisfied with our discussion, I will provide a quote for you to consider. If you decide to go ahead with the order, a £50 non-refundable deposit will be paid to secure your wedding date – this will be deducted from your final invoice. The final balance should be paid 2 weeks prior to your wedding date. We believe anything is possible!